8 Best Cafés & Coffee Shops in Seattle - the Birthplace of Starbucks! 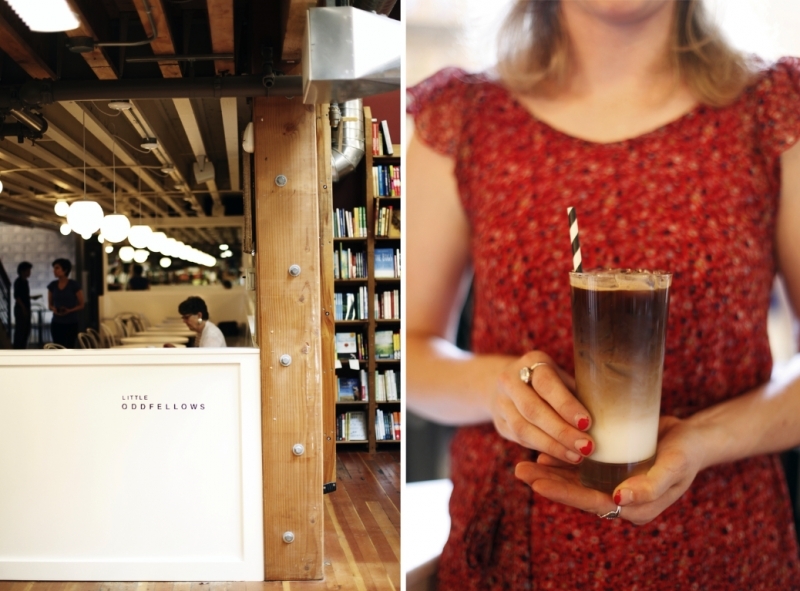 8 Unique Cafés & Coffee Shops That You Can Only Find in Seattle – the Birthplace of Starbucks! From traditional and utilitarian coffee joints to the most experimental and indie coffee houses! While Seattle is fast rising as one of the top tech hubs in the world, a trip to this vibrant city is bound to bring you warmth and comfort in its wide array of cafés and coffee shops. 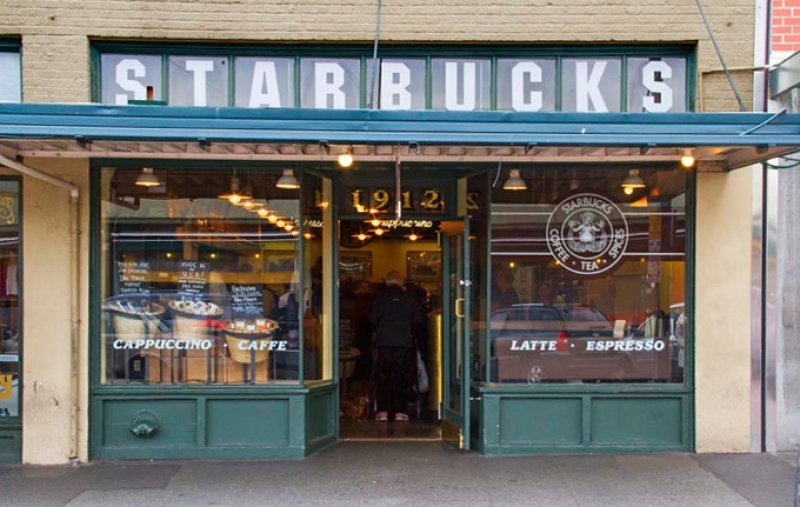 In fact, Seattle is proudly known as the birthplace of Starbucks – the largest coffee chain in the world! 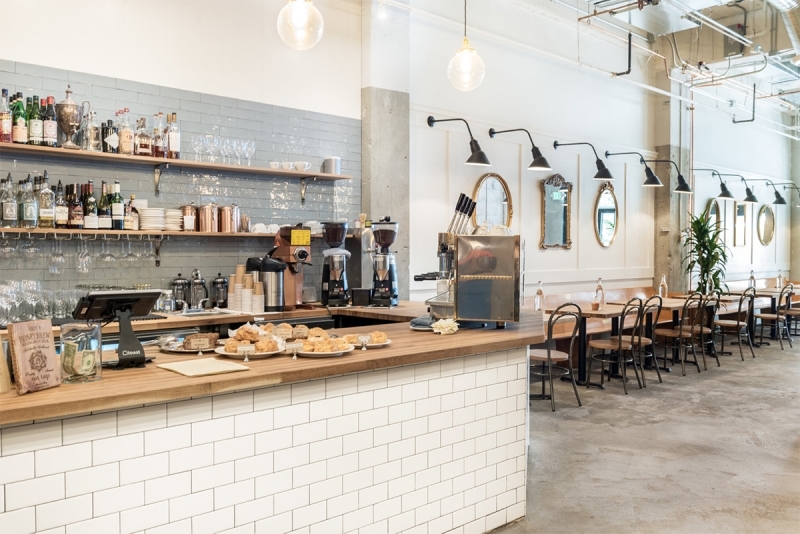 From traditional and utilitarian coffee joints to the most experimental and indie coffee houses, coffee-lover or not, get ready to gear up for the perfect café chill-out on your next visit to Seattle! Explore Seattle’s network of Instagrammable cafés and hipster coffee shops with Singapore Airlines’ non-stop flights to Seattle, commencing from 3 September 2019. With 3 weekly flights, which will be increased to 4 times weekly in October 2019, and a flight time of approximately 14hrs 40mins, your American dream is much closer than you could imagine! Starting out as just a small farmers’ market in 1907, Pike Place Market is now a nine-acre historic district that is brimming with activity. A must-visit in Seattle, the market is a thriving incubator for Seattle’s farmers, artisans and small businesses. Sample some of Seattle’s freshest local produce at the farmers’ market, be in awe of over 200 local craftsmen on display at the crafts market or explore the market’s vibrant dining scene, including quaint and unique cafés! Be in for a spook at Ghost Alley Espresso or sink your teeth into some of the most decadent cheesecakes at The Confectional. The highlight, however, is a trip to the world’s first Starbucks store, still bearing its original sign and iconic mermaid logo. Established in 1971 and also known as 1912 Pike, you can find this gem near the waterfront in Pike Place Market. Catch the wafting smells of rich coffee and look out for the long line that winds out the door and stretches down the street. For Starbucks-lovers, this is not to be missed! Just don’t expect to find any Unicorn Frappuccinos though; true to its origins, the store only serves traditional coffees and espressos. 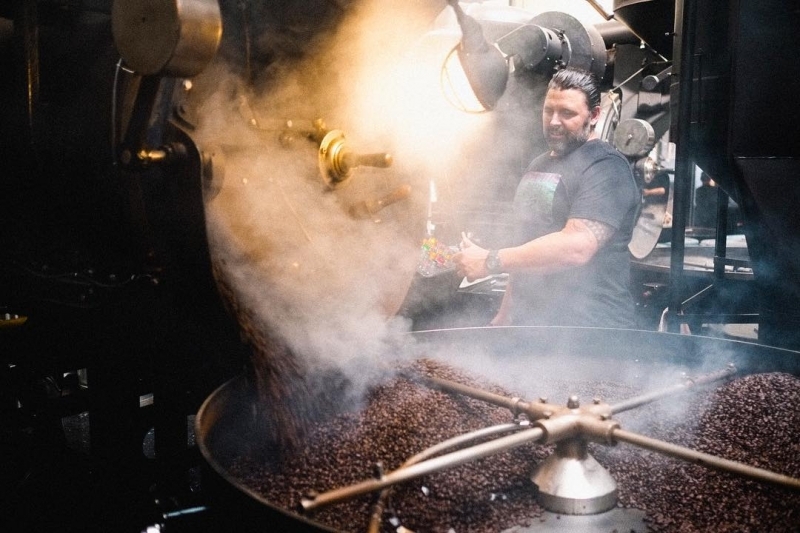 Just nine blocks away from the original Starbucks, step into an immersive coffee experience at Starbucks Reserve Roastery in Seattle, one of the largest Starbucks stores in the world. In the 15,000-square-foot premise, have a peek into the coffee-making process of the largest coffee chain in the world, from coffee bean to cup! In this magical coffee emporium, sample rare coffee blends and specialty beverages, learn about the different types of coffee-prep methods and browse over 200 titles of books about coffee. 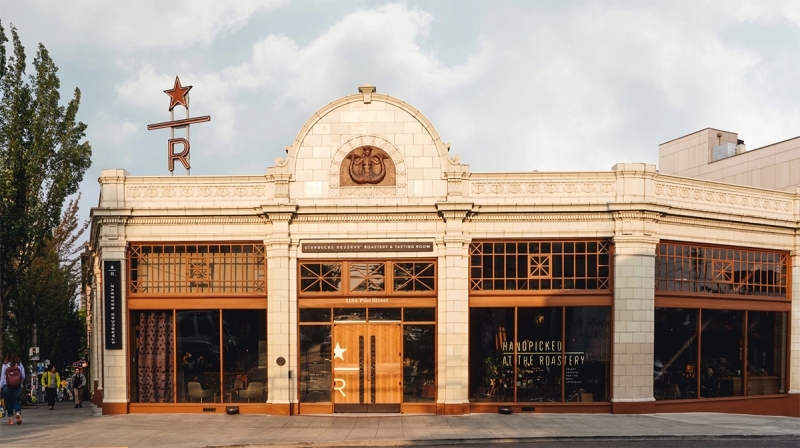 Understand the coffee innovation behind Starbucks’ international success as you are awed by the massive copper coffee bean cask, the custom-engineered pneumatic systems and storage silos from the mezzanine above. Caffe Vita has been humbly roasting coffee in Seattle since 1995 and is a proud pioneer of the Farm Direct movement, working with coffee farmers who are committed to sustainable practices across 11 different countries. Touted by some as the best place to get coffee in all of America, all of its coffee beans are imported directly from the farms and roasted on-site at its flagship café and roastery at East Pike Street. 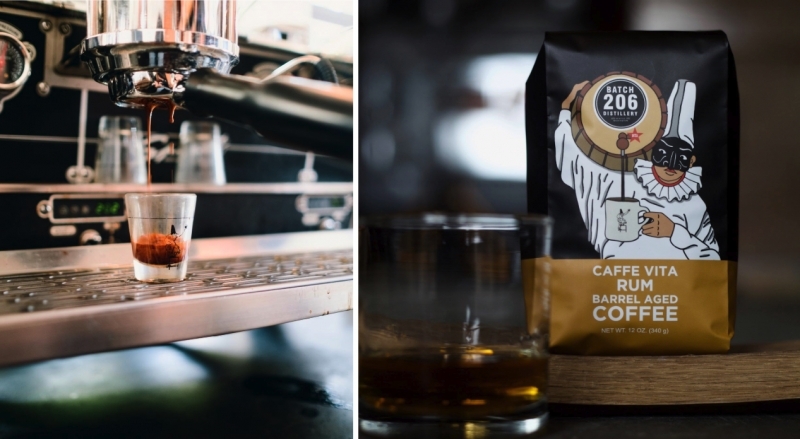 Its commitment to sourcing for the best and freshest coffee in the world is undisputed, with many of Seattle’s cafés turning to them for their coffee bean supply. 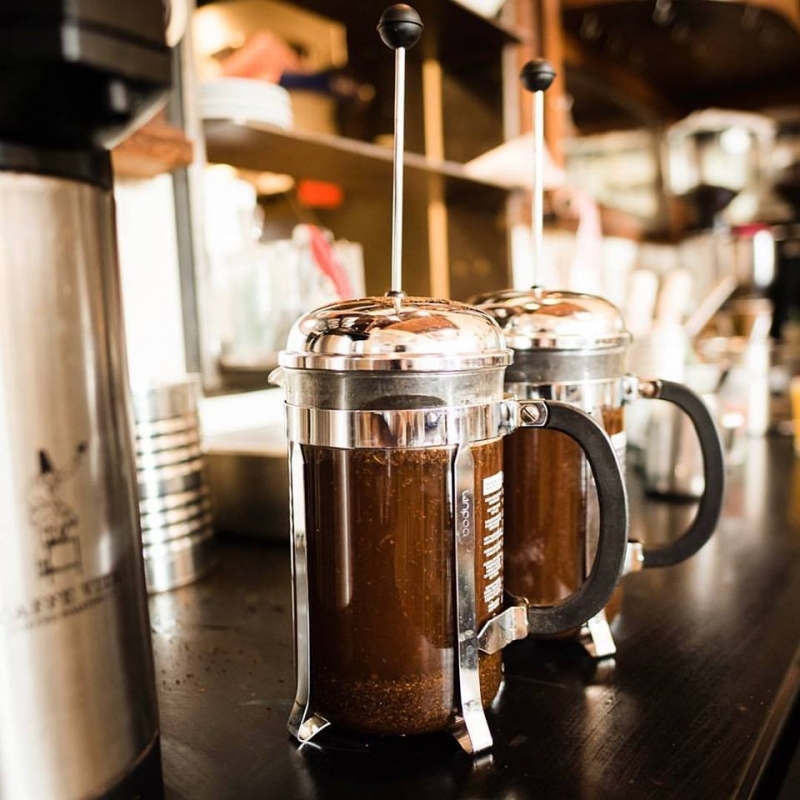 In addition, Caffe Vita also runs a Public Brewing School (PBS), offering complimentary lessons on manual brewing methods to share the knowledge of coffee with home coffee brewers all around the world. All you have to do is drop them an e-mail to secure your slot! One of the cafés that procures beans from Caffe Vita is Little Oddfellows – a unique café space in its own right. 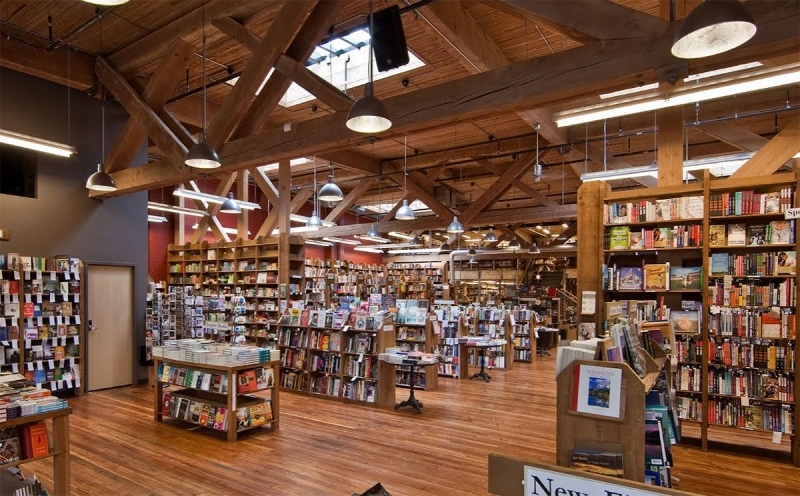 Seattle’s first coffee and bookstore, it was opened in August 2015 and is tucked away at the back of the Elliott Bay Book Company. Enjoy a refreshing cold brew as you browse from over 150,000 titles available and if you’re lucky, you might even be able to catch one of the 500 author readings that they hold every year! Whether you’re looking to get lost for a few hours in an unfamiliar book or just to grab a quick salad and coffee, this bookstore café guarantees you a little bit of everything. 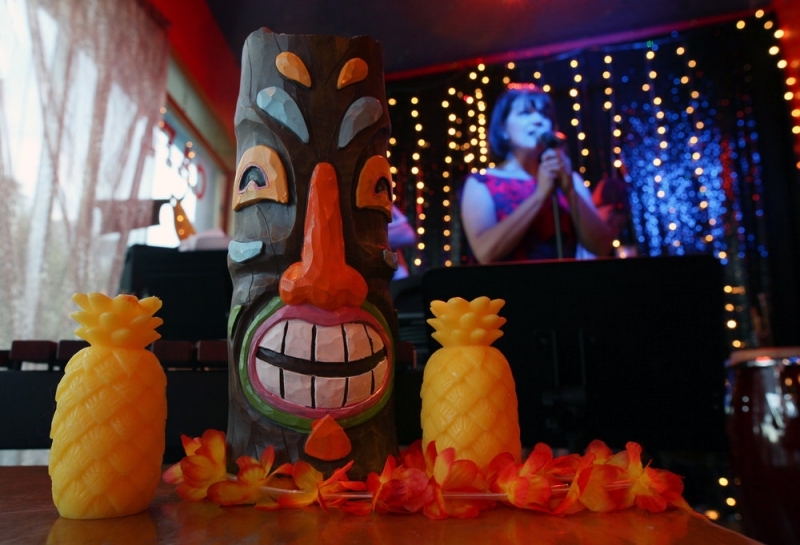 A change from the typical café experience, Cafe Racer is a unique blend of mismatched and quirky decor and has become a home for Seattle artists of all shapes and forms. 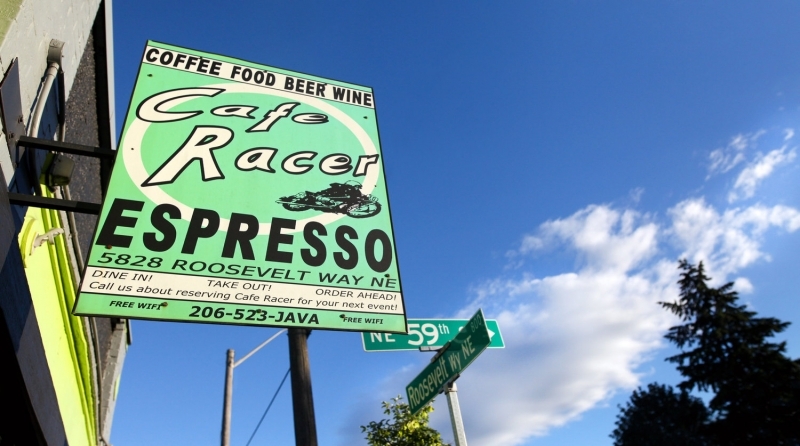 In fact, café Racer is one of Seattle’s only surviving art bars and a highlight is its Official Bad Art Museum of Art, or more affectionately known to its patrons as OBAMA. 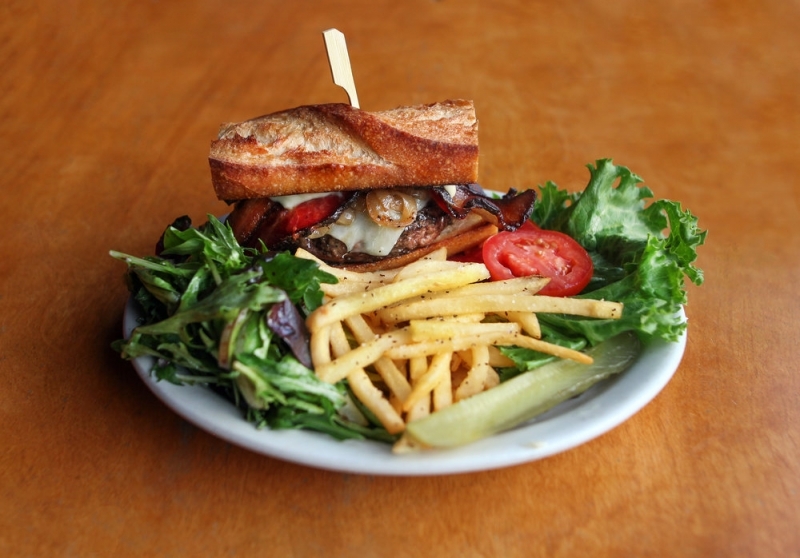 Admire the collection of “bad art” specially curated by Seattle artists while you chow down on their signature dish, The Two Bells Burger. On any given day, you’d be treated to artistic performances from a variety of genres and mediums – from stand-up comedy and rock performances, to live drawing demonstrations by cartoonists! Serving up all-day comfort food and drinks, drop by for a cup of coffee in the day or party the night away with Seattle’s creative community till the wee hours in the morning! Opening Hours: 9am – 2am, daily. Closed on Monday. This geeky hideout is a long-term pop-up located inside The Lounge by AT&T, a part coffeehouse, part co-working space and part learning centre in Capitol Hill. Explore the scientific part of the coffee-making process and rub shoulders with coffee nerds who are dedicated to achieving the best coffee brews through scientific experimentation and tests. 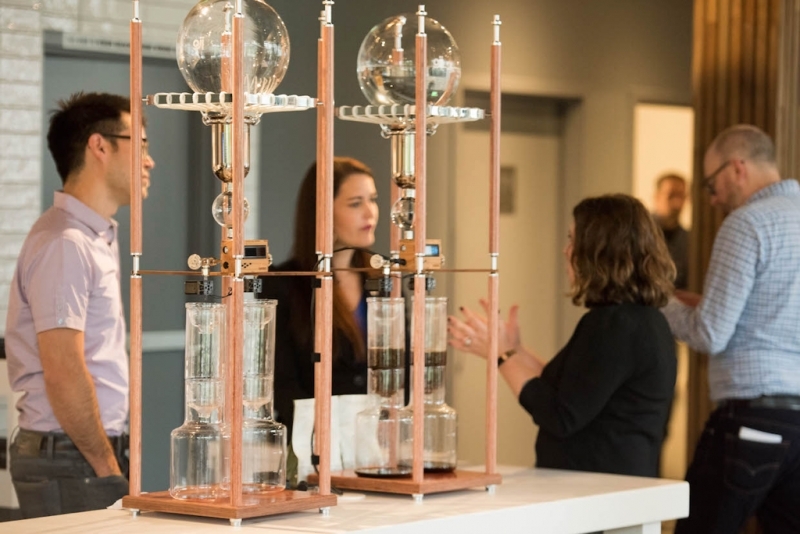 Check out their “coffee robot” on display as well – Japanese cold drip towers that have been customised, coded and calibrated to provide the best quality brew possible, through technology and science. How cool is that? If this coffee “hacking” has you intrigued, you can head down to Ada’s other outlet, Ada’s Technical Books and Café, where you can deep-dive into a coffee book or workshop, with a delicious cuppa joe in hand. 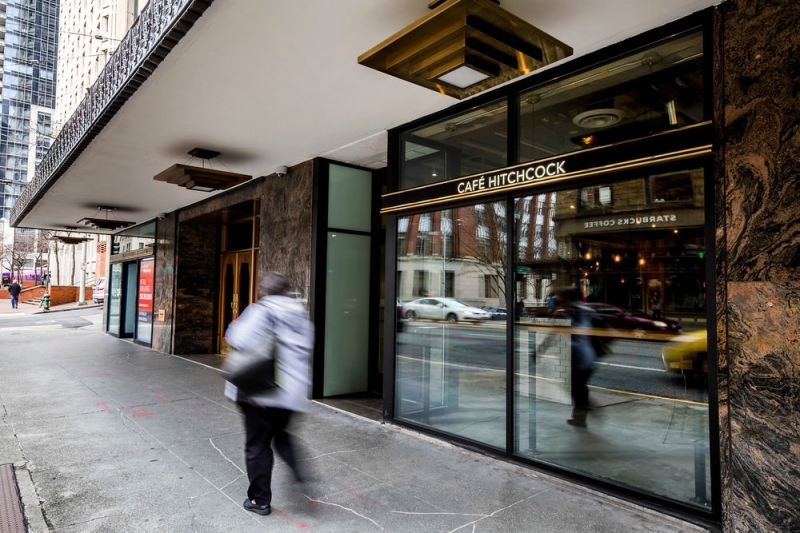 Should you make a trip to the Central Business District of Seattle, be sure to stop by Café Hitchcock, located in the historic Exchange Building which was named the “Office Building of the Year” in 2002. But don’t let its unique art deco exteriors fool you. Step inside and be treated to modern, industrial furnishings, paired with an innovative food and drinks menu, perfectly catered to the bustling CBD crowd of Seattle. Serving Caffe Vita coffee beans as well, you can choose from quirky wellness lattes like the Dirty Hippy (organic coffee with chai, root beer tonic and milk) or even plant-based smoothies like the Green Dream (chocolate, tahini, kale, mushroom powder and banana). In a rush? Head just a few floors up for packaged grab-and-go offerings at Café Hitchcock Express (CHE), where you can take your pick from sandwiches to healthy salad bowls. Chef-owner Heather Earnhardt was a local baking legend before opening her café in the heart of Seattle’s North Capitol Hill neighbourhood. 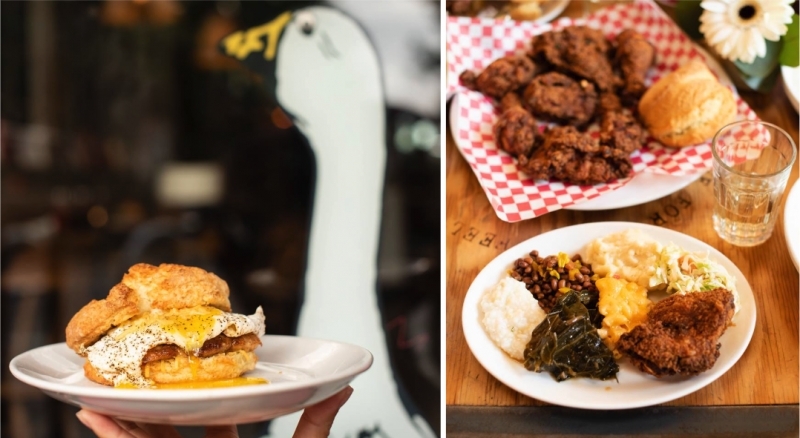 Offering seasonal and affordable comfort food, The Wandering Goose is passionate about its Southern influence, serving up Southern favourites like fried chicken and country ham. Enjoy their signature biscuits, slathered in butter and homemade jam, and paired with a cup of coffee with beans from Caffe Vita. The café also offers hands-on baking and cooking classes with Heather herself, where you get to cook and take home all your fine products from the class. If you’re looking for a souvenir to bring back home, you can even purchase the café’s very own honey that is harvested from their rooftop beehives. As the birthplace of Starbucks (and some might say, coffee), Seattle has seen an explosion in its coffee scene. Explore Seattle’s most unique coffee shops with Singapore Airlines’ non-stop flights to Seattle, commencing from 3 September 2019. Just 14hrs 40mins away, the enjoy the award-winning service and over 1,800 on-demand entertainment options on the Airbus A350. Brought to you by Singapore Airlines. 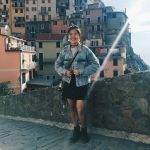 Chermaine Wong is a soon-to-be SMU graduate who likes to spend her free time dancing, doodling and compiling videos/vlogs of her travels. She’d love to travel the world a whole lot more in the months before real adulthood begins.